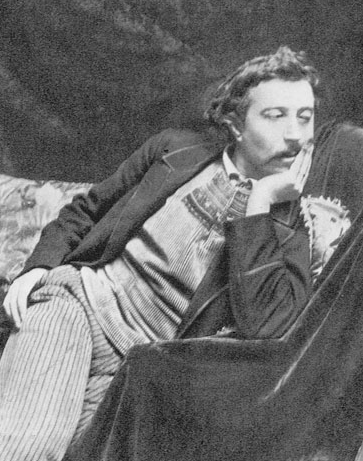 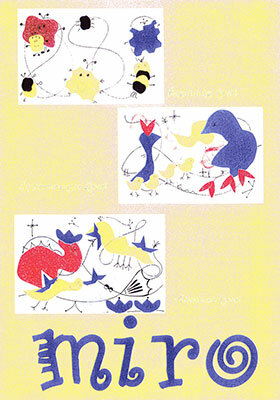 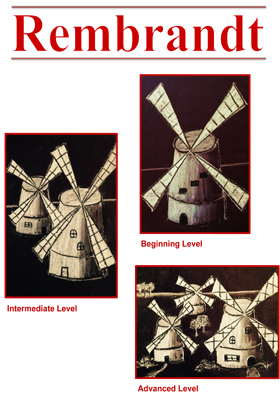 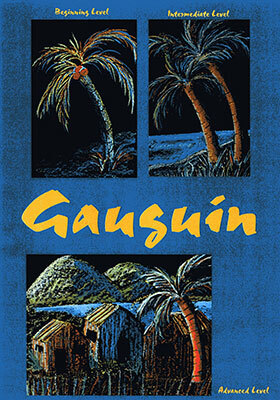 Gauguin's life and art are presented creatively to make art history come alive. 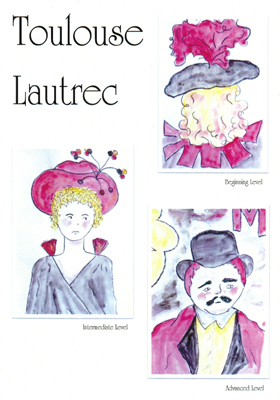 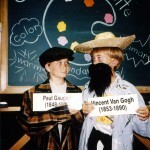 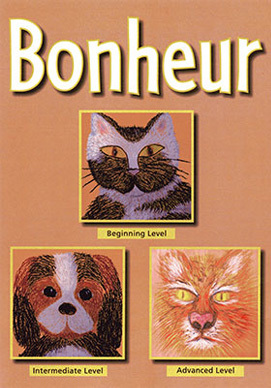 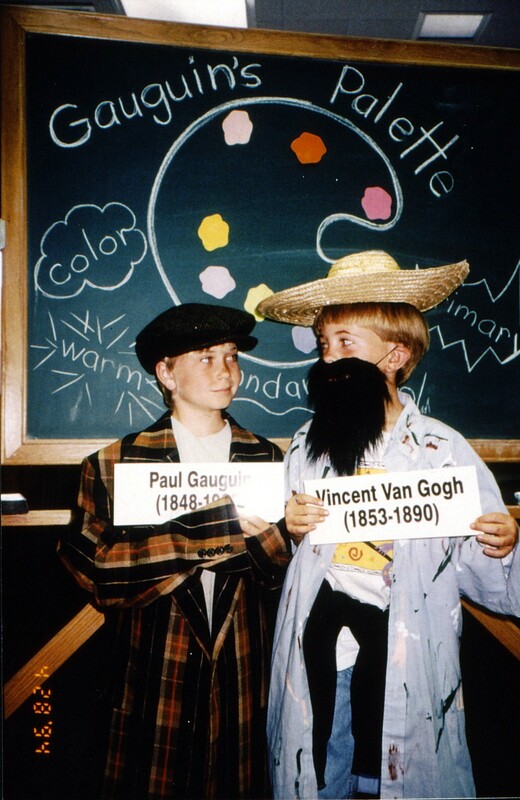 Audio excerpts and dress-up props motivate the children to investigate Gauguin’s life and artistic genius. 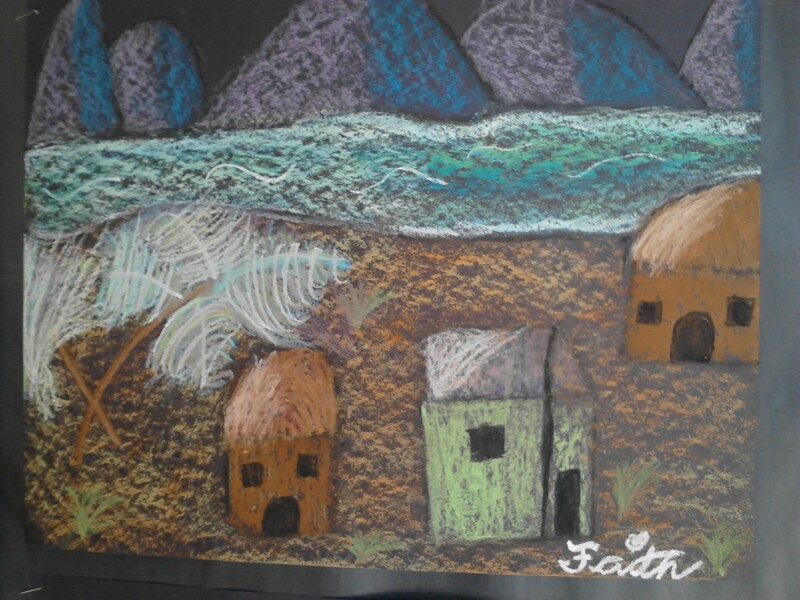 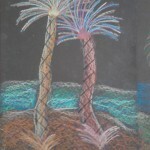 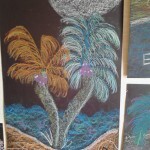 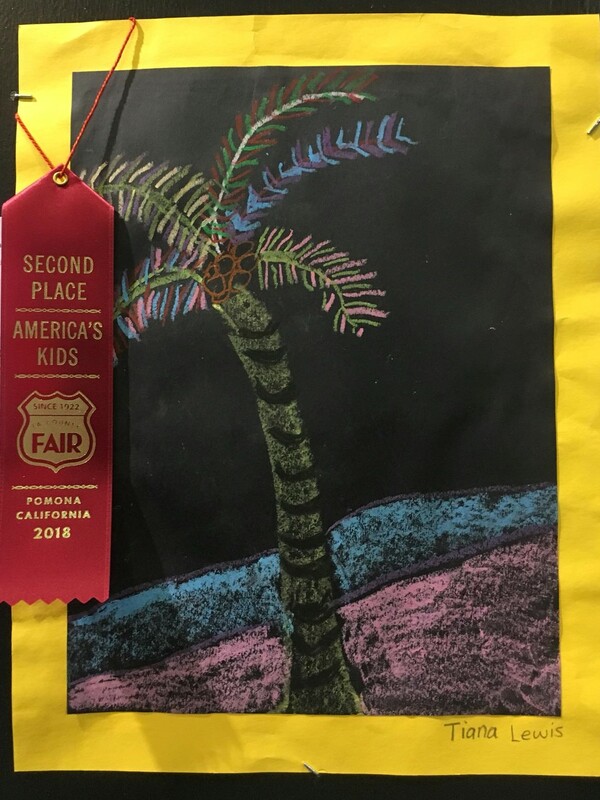 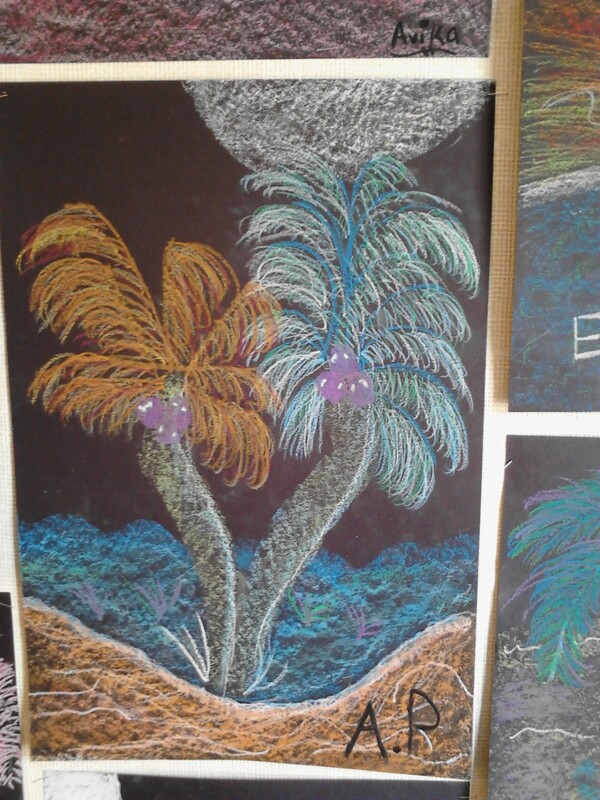 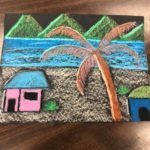 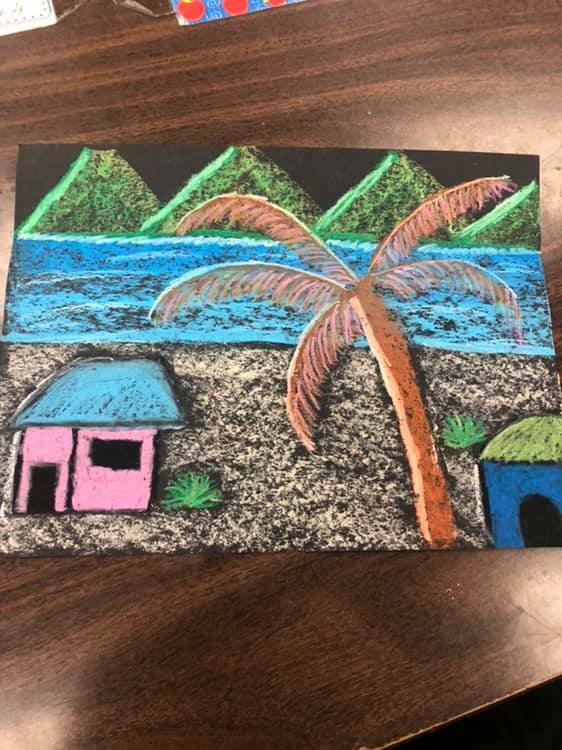 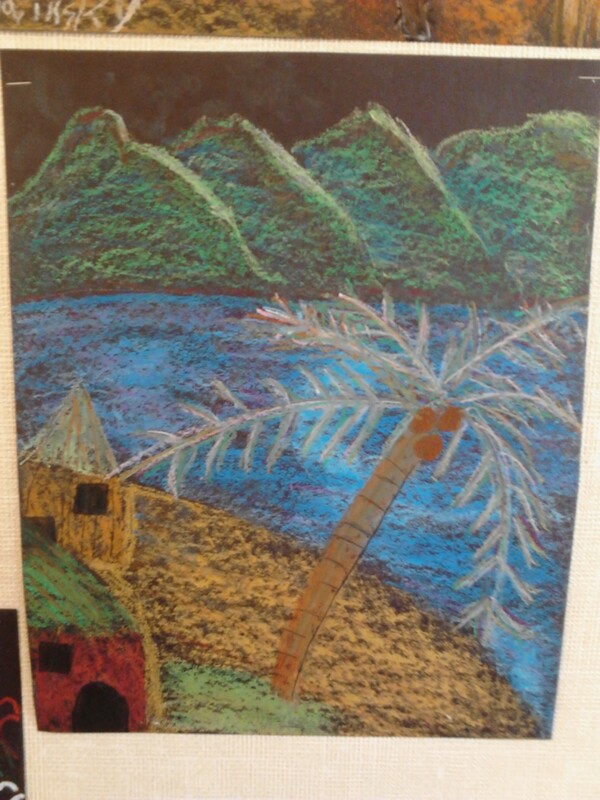 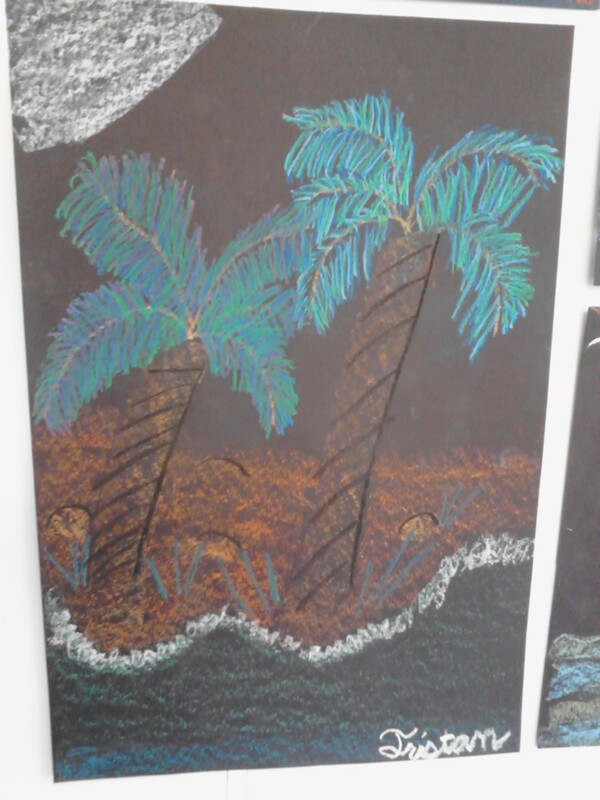 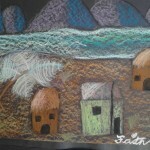 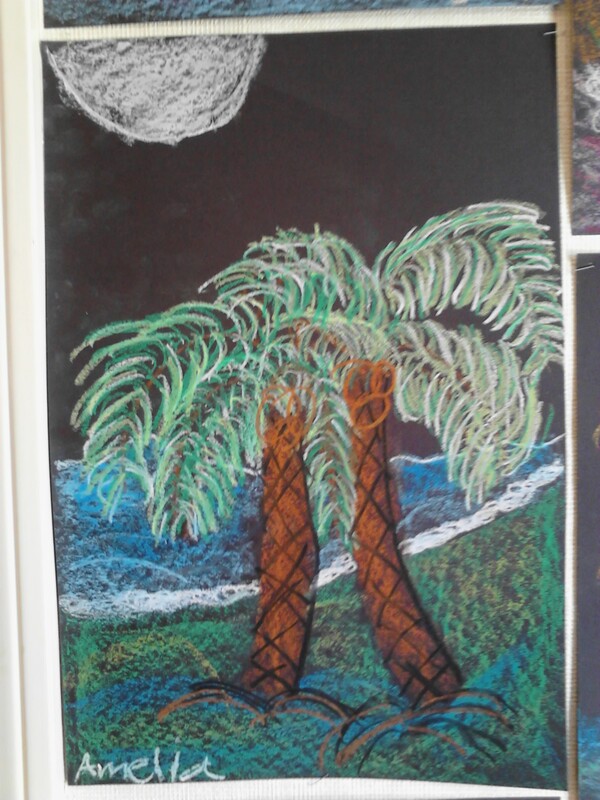 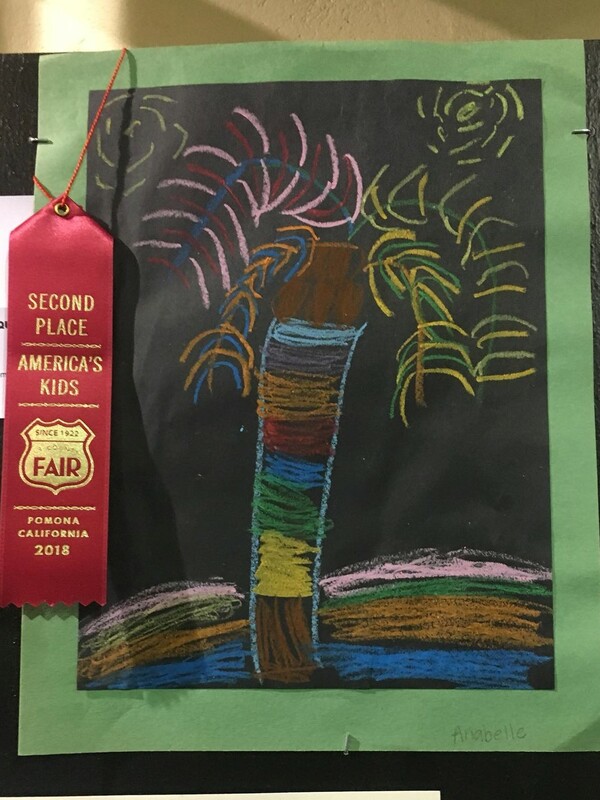 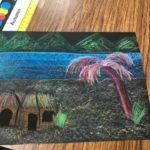 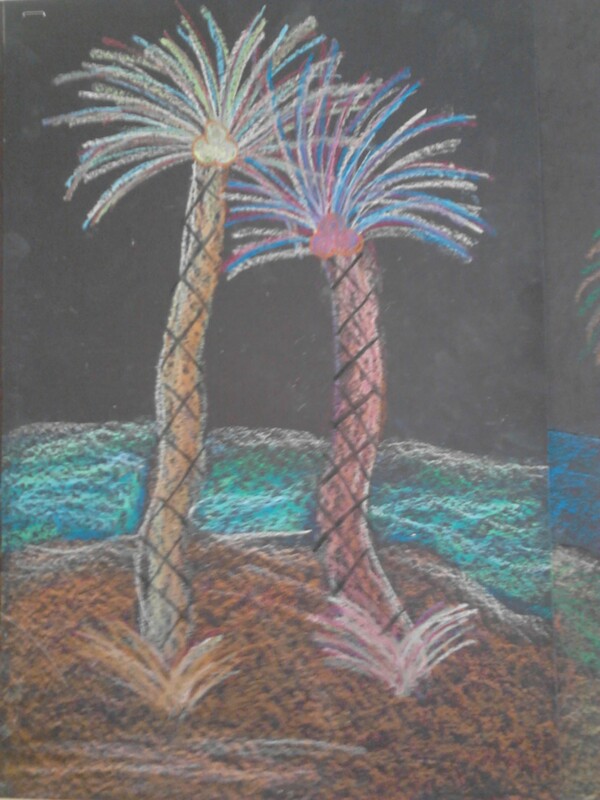 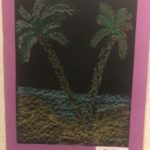 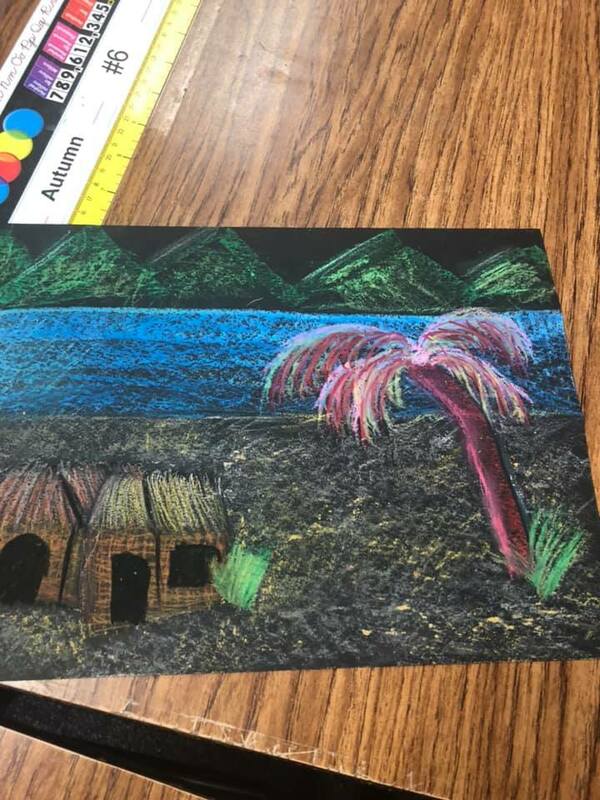 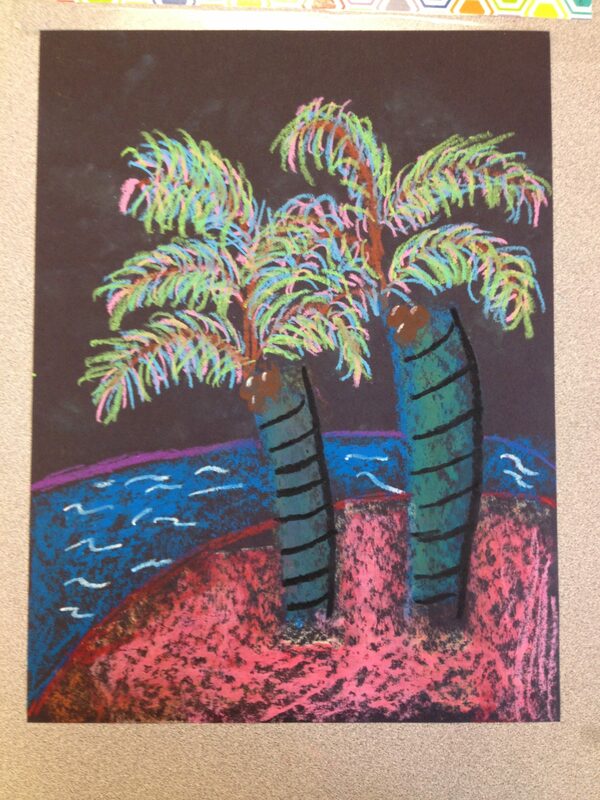 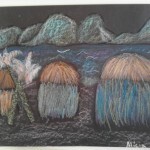 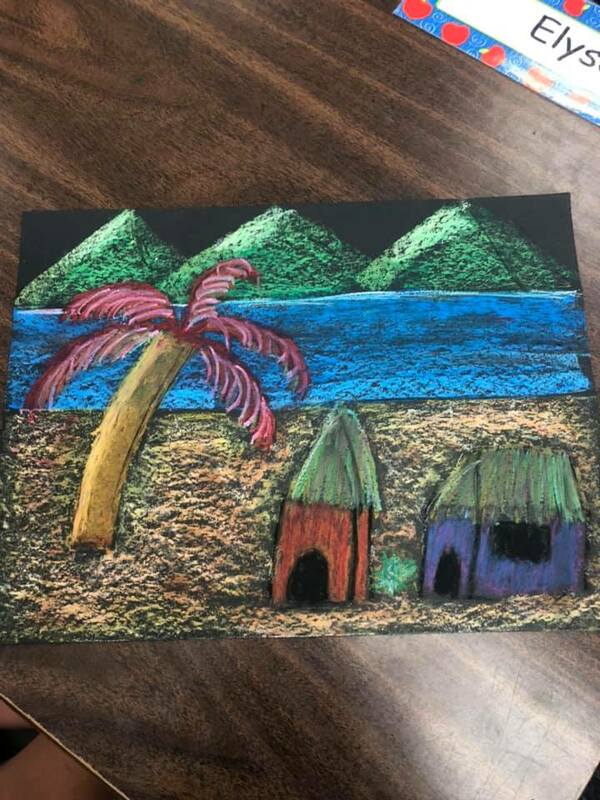 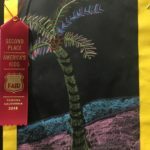 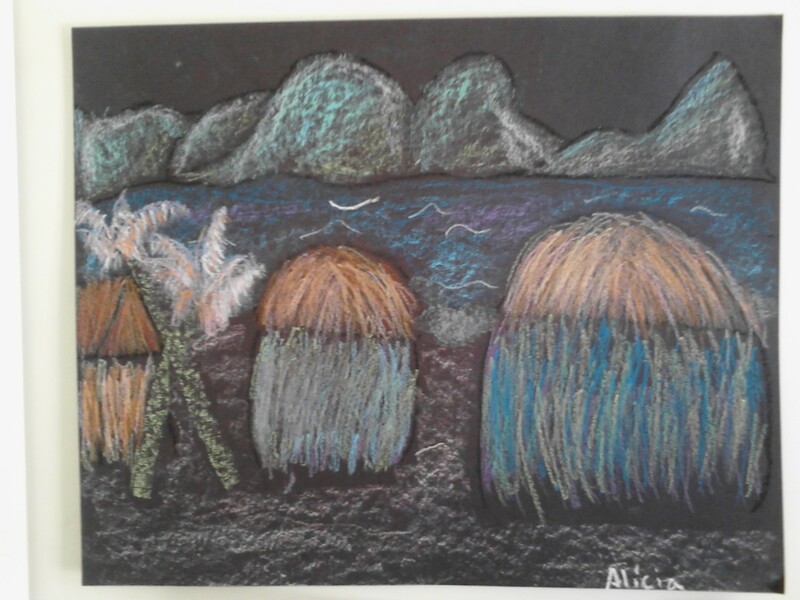 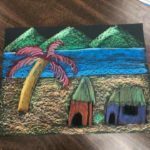 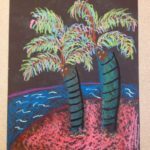 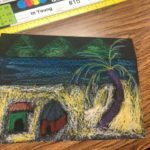 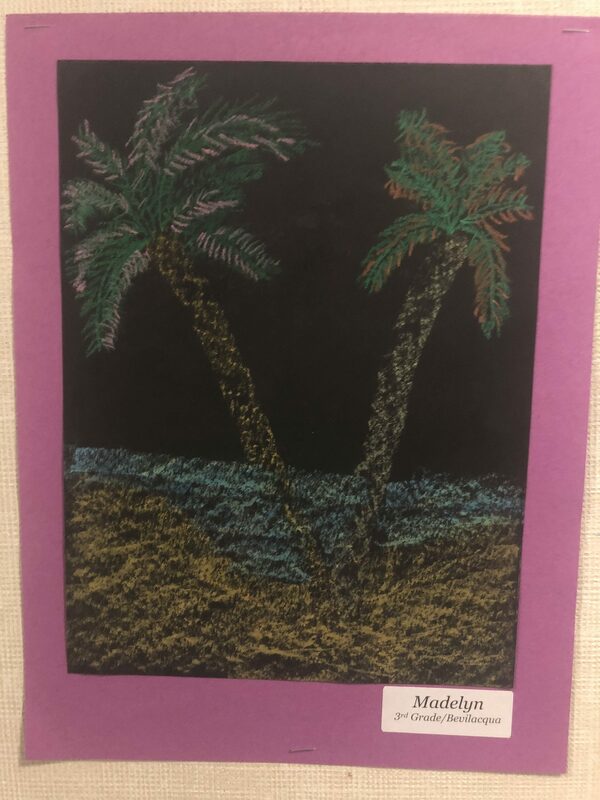 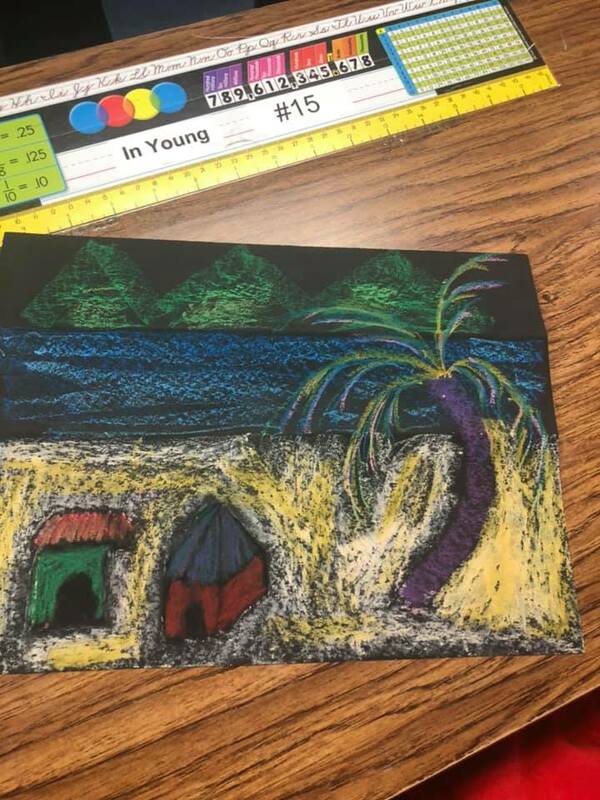 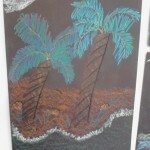 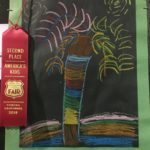 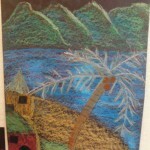 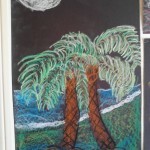 The student artists use oil pastel on black paper to create a Tahitian landscape in the abstract style of Gauguin.